Onpage Hero extends Google Analytics functionality with unique custom dimensions. This time, we are focussing on automatically detecting the robots meta tag of each page using the Robots Onpage Hero custom dimension. Firstly, make sure you have the Robots dimension selected as part of your Onpage Hero plan. Free plans allow you to add up to 3 datapoints, whereas paid plans allow up to 20. The options on the left show the datapoints applied to this property. 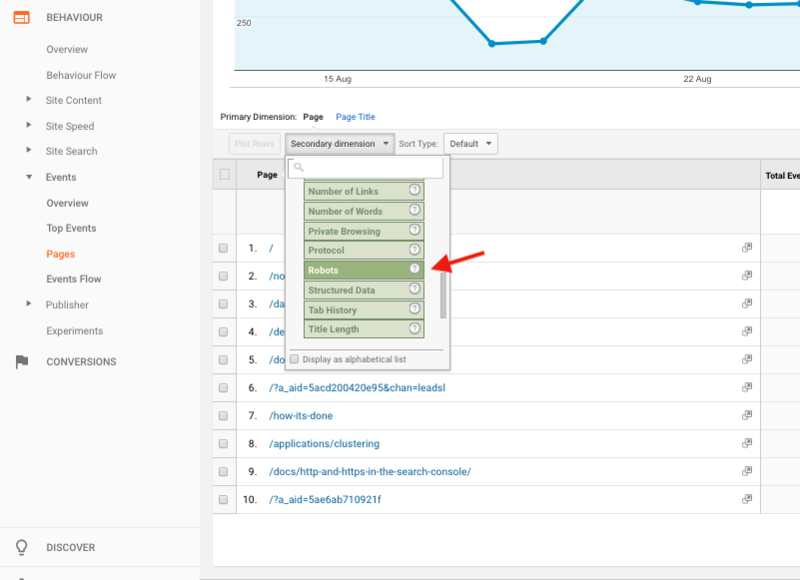 Select the Robots dimension, click NEXT, then VIEW ANALYTICS to jump into your Google Analytics property. The robots meta tag is a HTML element that gives instructions to search engine crawlers such as Googlebot. This tag is placed in the header of a page and can give instructions to all crawlers name=”robots” or specific name =”Googlebot”. Typically instructions include either to index content (content=”index”) or not to index (content=”noindex”). Why are robots meta tags important? Robot meta tags are important because they give or remove access from search engine crawlers. For example, if you were performing maintenance or major SEO efforts on part of a site and wanted to hide if from crawlers, then you could add <meta name=”robots” content=”noindex”> to the robots.txt file. This allows the search engine to crawl this page but not to display it in the search results. To find the Robots custom dimension in Onpage Hero, simply navigate to your default view within in your Google Analytics property. Ok, let’s take a look at our robots data. So, type “robots” as a secondary dimension to display the results. Onpage Hero now displays each robot meta tag set per URL. Check for pages that are mistakenly set to “noindex” or “nofollow” and update your robots.txt file accordingly. 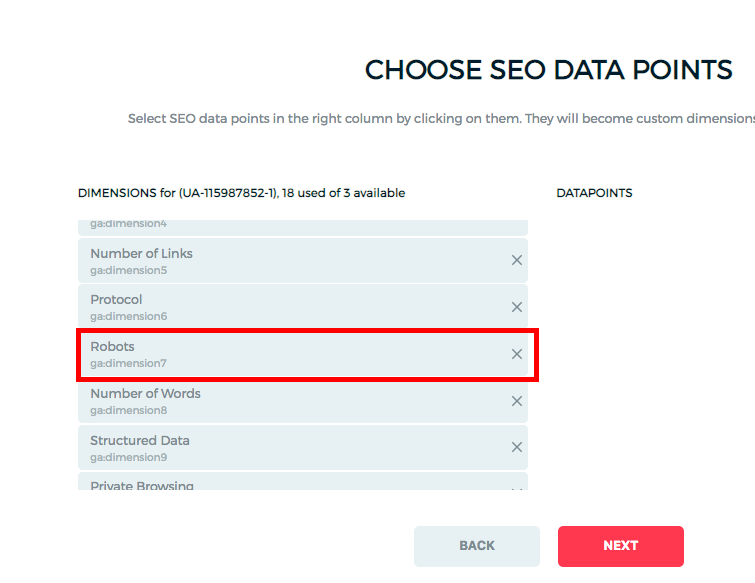 Robots meta tags are just one of the meta tags that Onpage Hero allows you to see in Google Analytics. Others include the hreflang tags and canonical URLs. To see these three meta tags all together head over to our dashboards page and grab the Meta Tags custom report for Google Data Studio. Simply select the property for which you wish to see the data for from the drop-down menu.